These sweet desserts look good enough to eat. We used a nice heavy quality terry tea towel. For the top, we chose a sweet dessert fabric.This one has yummy pies, cherry pie, a hint of cake with cherries, and a hot fudge sundae. There is also a hint of ice cream with dripping chocolate, whip cream, and a cherry on top. 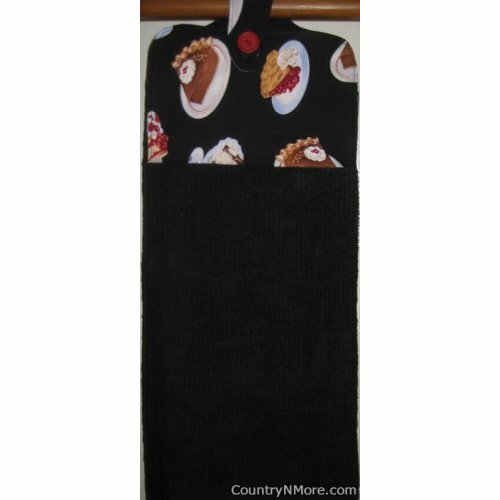 We currently only have two of these gorgeous oven door towels. Each one has been listed separately, because of the design placement on the fabric. We use button closures for all of our oven door towels.